Former Chairman of Public Accounts Committee (PAC) Albert Kan -Dapaah has stated that laws do not work properly in the country and that unscrupulous politicians and civil servants found culpable of stealing from State coffers are left unpunished. Instead of culprits to serve as a deterrent to others, he observed that they rather hailed by the citizenry themselves whose money they have reportedly dissipated. He said this has partly been so because Ghana lacks the culture of sanctioning people who steal from state coffers. According to him, the country over looks corrupt cases unlike the Western world where perpetrators are punished to serve as deterrent to others. Juxtaposing Ghana to Western countries, he explained that systems work in the latter and that people who steal from state coffers walk on streets without being questioned. ‘The laws in the country do not work, even if the person is found culpable of a crime, we set them free, there are two politicians whose names come up when we mention corruption, Nigeria’s former President Sani Abacha and former president of Democratic Republic of Congo Mobutu Sese Seko, do you think that if Abacha or Mobutu were to be presidents of America, they would have stolen state monies, they wouldn’t have dared. Their structures work, there is no way you can steal monies, the systems do not create rooms for corruption,’ he said. The Consultant to the Financial Accountability and Transparency Africa, observed that one would not even dare to cross road when the red signal peeps. ‘If you are caught without the presence of a police, you will be dealt with, the money that you will be fined is even more than the vehicle you are driving,’ he said. 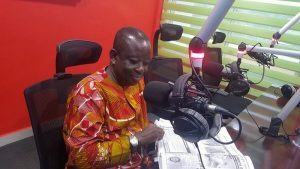 Speaking on Abusua FM’s Abusua Nkommo hosted by Kwame Adinkrah, the Former Minister of Defence wondered why people who have been accused of corruption have not been sent to court. ‘None of the names Auditor General have proposed to be dealt with by the law have been asked to face the full rigours of the law, they are walking freely on the streets,’ the former Member of Parliament (MP) Afigya Sekyere West constituency said.